Memorial Day has become a time for cook-outs and gathering with friends and family, but let us also remember its true purpose. Originally called “Decoration Day,” it was intended as a time of remembrance for those who died in service of the U.S.
For more than two centuries, Native American people have served with distinction in all U.S. military actions. 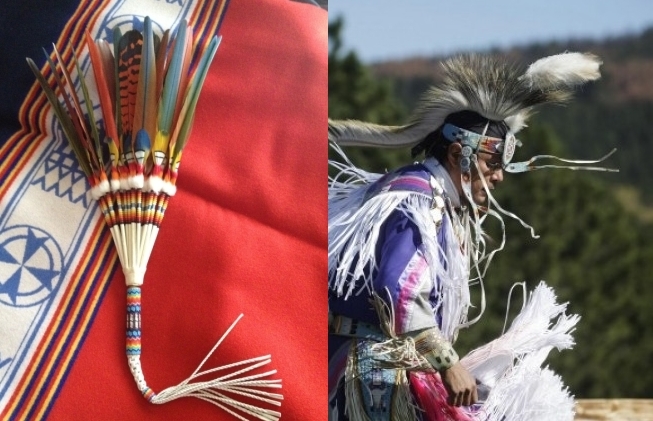 We have written before about the importance of Veteran’s Day in Indian country and about Native Americans having the highest rate of military service of any ethnic group in the US. But a higher rate of military service isn’t the only thing that distinguishes Native American veterans. They also experience higher rates of joblessness and health issues such as diabetes, alcoholism and depression connected with PTSD, and complications related to Agent Orange. For instance, Native Americans exposed to Agent Orange are more likely to get adult-onset type 2 diabetes than non-Natives. They are also more likely to incur nervous system damage from Agent Orange and DMZ (demilitarized zone) action, which can contribute to onset or instability of diabetes. Add to this the fact that mortality from diabetes is three times more likely for Native Americans than for non-Natives, and you start to get a sense of the health impact for Native veterans. These health concerns are compounded when there is a lack of access to proper healthcare. 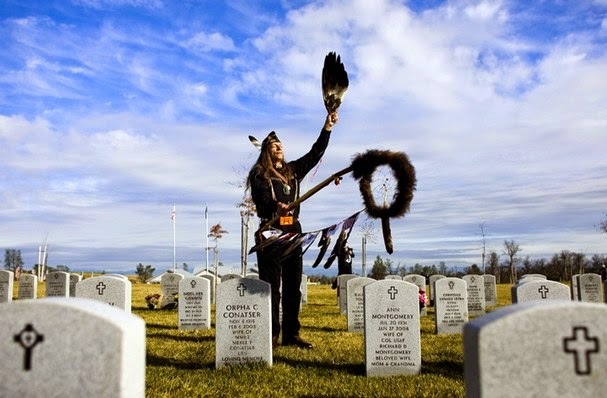 Currently, there are 185,000 to 200,000 Native American veterans that served in World Wars I and II, the Korean, Vietnam and Persian Gulf conflicts, Iraq and Afghanistan. These veterans represent the 566 federally recognized tribes and the 400 non-federally recognized tribes throughout the U.S. Many Native American veterans are eligible for healthcare services through both the Veterans Administration and the Indian Health Service (VA and IHS). On the other hand, a veteran who is a member of a non–federally recognized tribe may be eligible for VA health care services but not IHS health care services. And, on the reservations that NRC serves, both VA and IHS facilities are often long distances from the home communities of our Native veterans. Accessing these services sometimes requires special transport and an overnight stay just for a regular office visit. To support community-based healthcare, National Relief Charities provides products that are needed by health and wellness programs, community health representatives, and public health nurses in reservation communities. These health professionals conduct health screenings and education on self-care, make home visits, transport people for appointments, and generally assist Native American veterans and other homebound people on the reservations. We have contributed to the American dream with the hope that one day we will live in peace as brothers and sisters under one flag… This is not a time of mourning, but a time of celebration when we can come, joined as one people… Let us all remember who we are today and why we meet today and why we remember who we are and why we celebrate our heritage. Why we keep our tradition and our land is to pass it on to our children. We must hold onto our land and our traditions or we will be left to wander aimlessly in the land of our Fathers. Responses to " Remembering Native Americans on Memorial Day"
What about all the Native Americans that were defending their land/country and fought againt the invading immigrants? Are they too recognised on Memorial Day for their bravery as equally as all others? Thank you, With out your Help the World would be a Much Different place ..
First Nation Warriors Recognized on Memorial Day for their Bravery , Equally as First Defenders of this Land..
Ditto to Anonymous. We need to commemorate the warriors who fought to protect their ancestral lands before and after 1776. The men and women of all tribal nations engaged in an uphill battle to defend their homes and loved ones, but suffered terrible retaliations when victorious such as at Custer's Last Stand. Patriotism runs deep among Native Americans. There is so much to protect. So, each time there is a major military action, a disproportionate number of Natives step up to do their part. My prayers are for you and all people that served our great country.